Cloverleaf Farm was built in 1859 by Mordicai Edwards as a gift to his young bride, Martha, who desired the grandest house in the county. 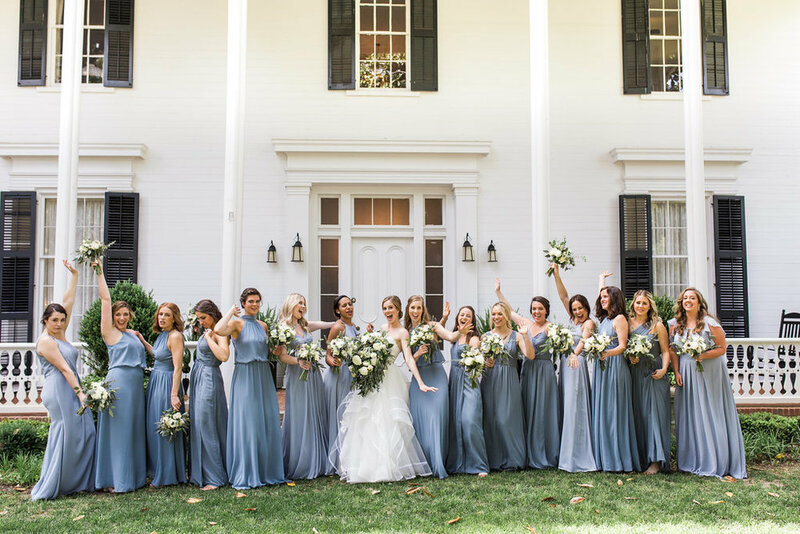 A uniquely picturesque farmhouse encased by a wrap around porch, sitting atop acres of rolling pastures, awaits the bride who chooses this Southern gem. The home is reminiscent of the era in which it was erected. 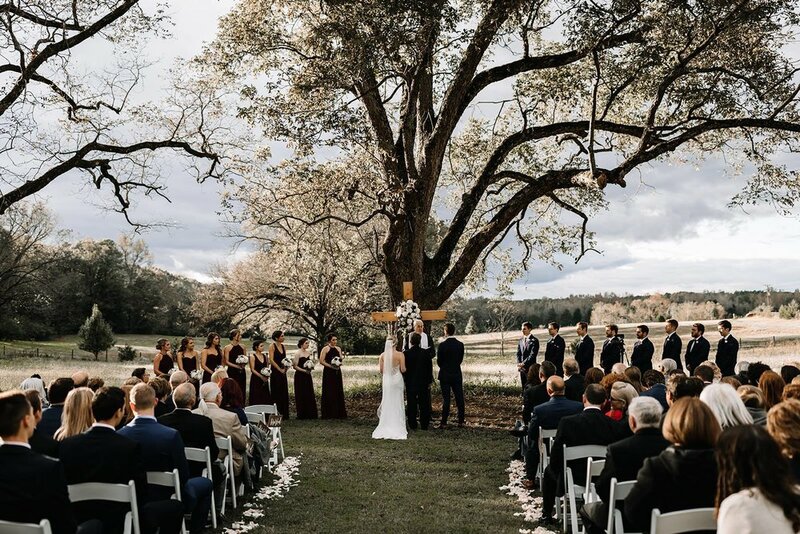 With ample space for entertaining and a multitude of options for ceremony and reception spaces, Cloverleaf Farm is full of possibilities. 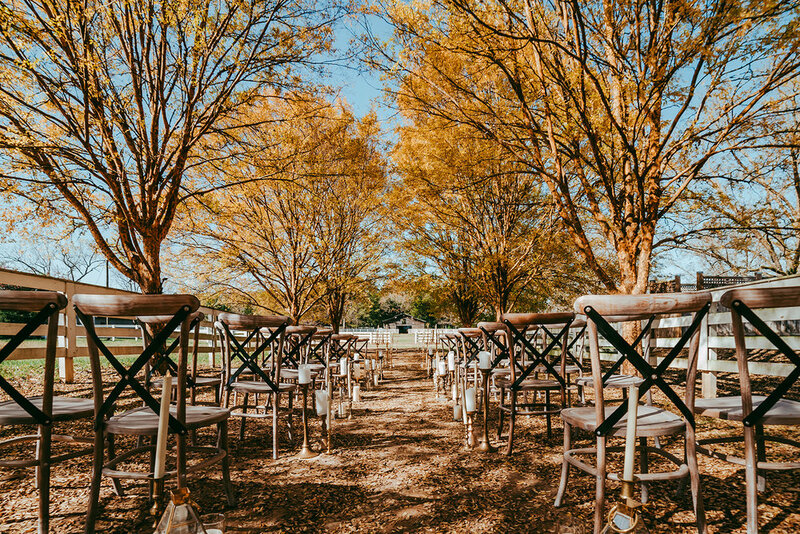 We wholeheartedly believe Cloverleaf Farm is one of the best fall wedding venues in Georgia. The upstairs area of the home and the private veranda have a sweeping view of the farm. 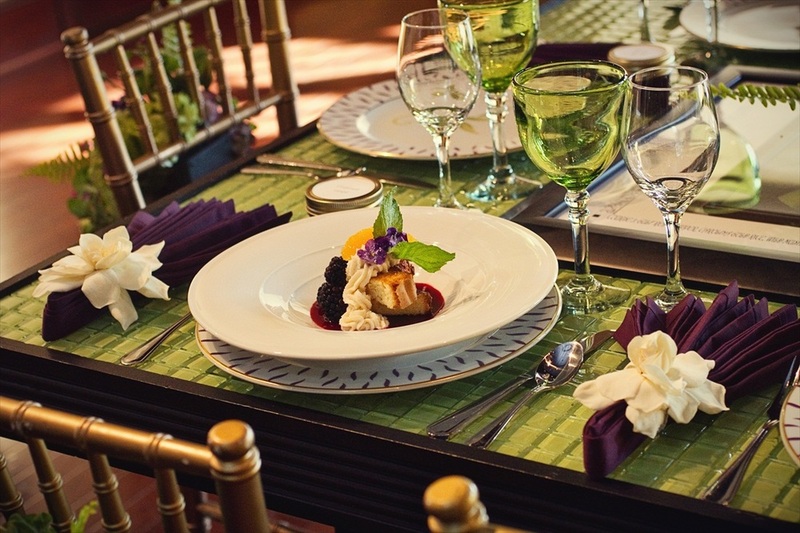 This space serves as a luxurious suite for the bride and her attendants. In grand scale and befitting the size of the rooms, the furnishings in the home are an eclectic mix inspired by furniture styles and designs from bygone eras. 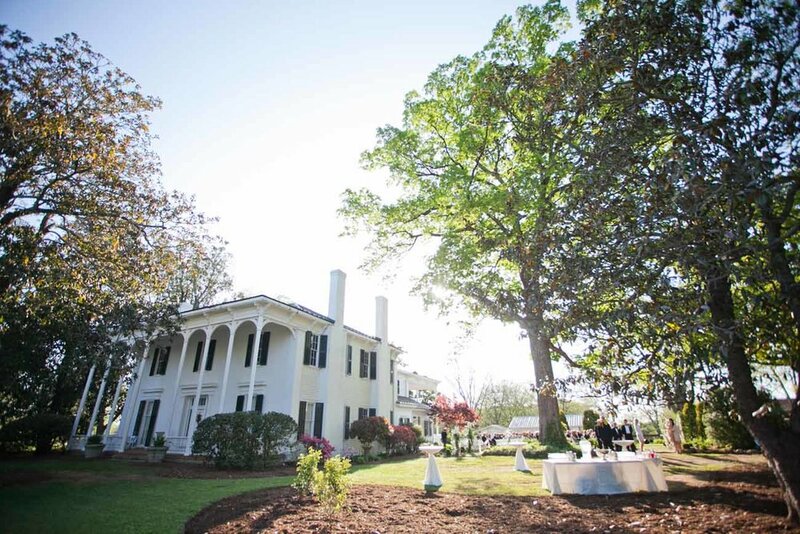 The ladies and gentleman from the antebellum period would fawn over such an exquisite and divine venue as Cloverleaf Farm in comparison to many other farm wedding venues in Georgia. From the gilded Corinthian entablature cocktail table in the front gathering room, to the rustic iron pulley lights suspended over either end of the bar, these pieces manifest the pride in workmanship echoing the skill set of generations past. 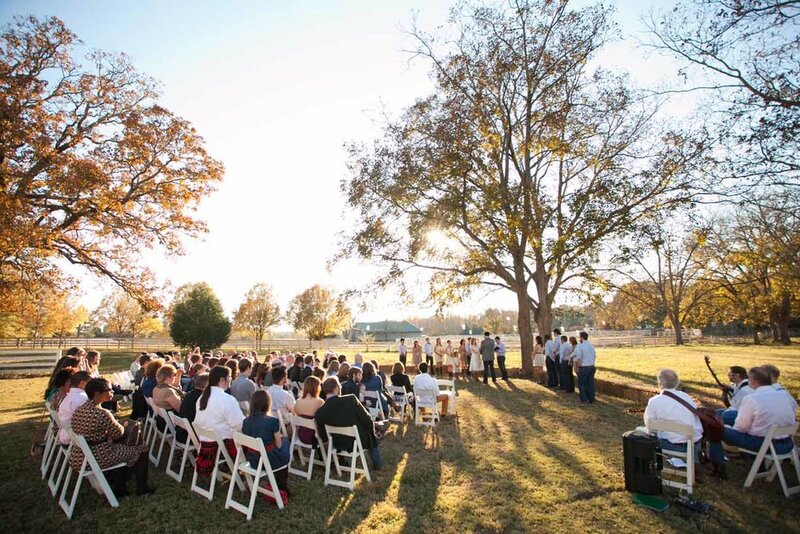 When searching for farm wedding venues in Georgia, the venue would not be complete without rolling pastures and an abundance of space. 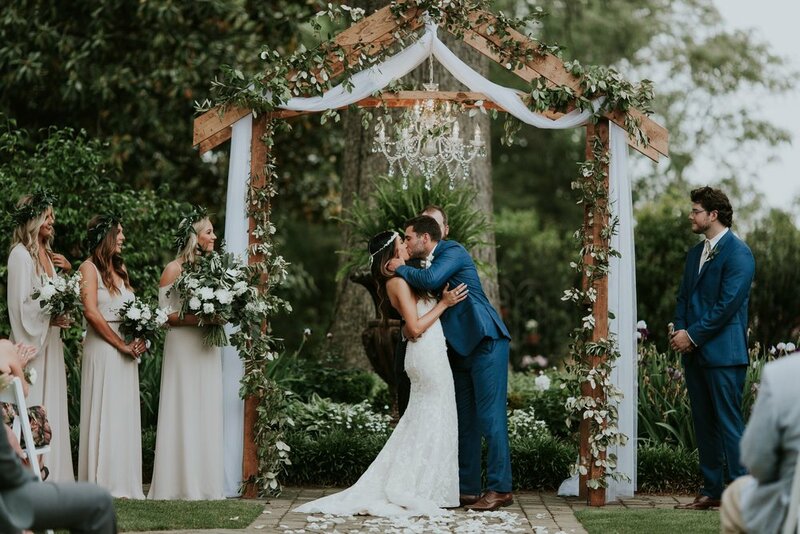 The surrounding buildings, horse barn, pastures, pecan grove, tree-lined lanes, vineyard, perennial flower borders and the formal, brick-enclosed courtyard garden, make a wonderful fall wedding backdrop and create multiple options for a bride to express herself. There are surprises around every corner. Look for touches of the Cloverleaf motif throughout the 27-acre farm, especially in the layout of the front fountain and the curvilinear lines of the garden inspired by the Cloverleaf icon. 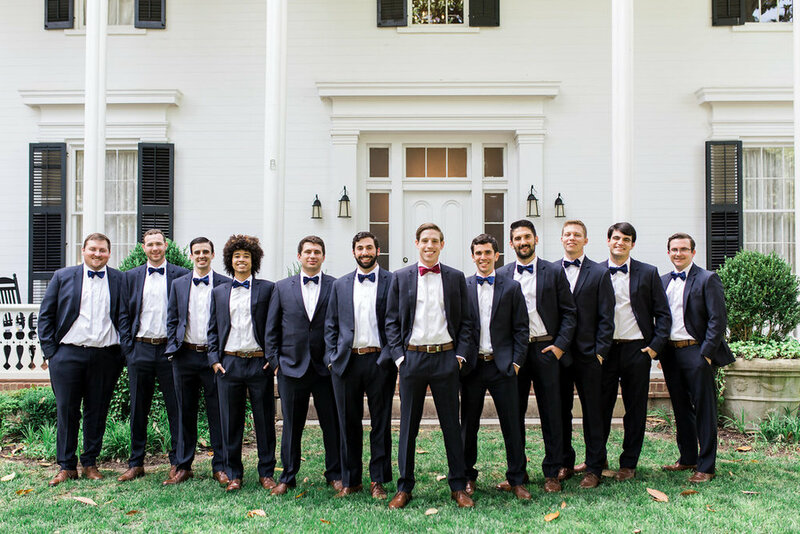 Lucky, indeed, is the bride that happens upon Cloverleaf Farm. 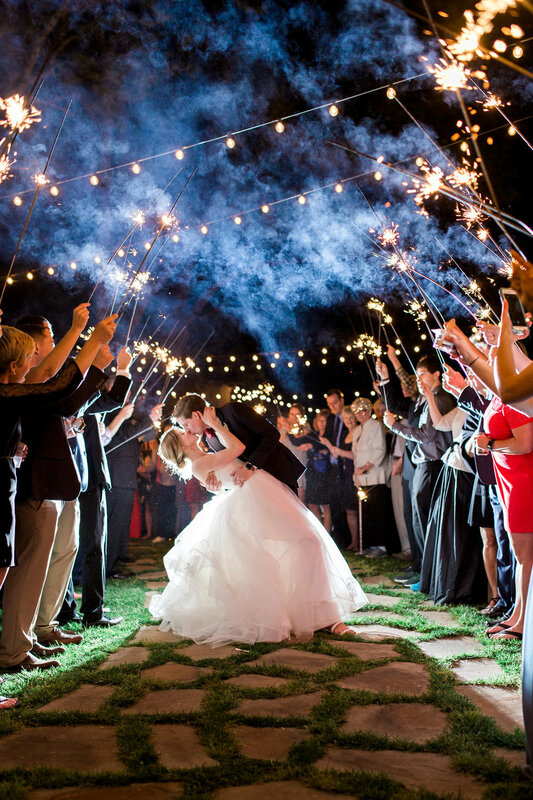 Everything was beyond perfect, and we soaked in every minute of the day and night! 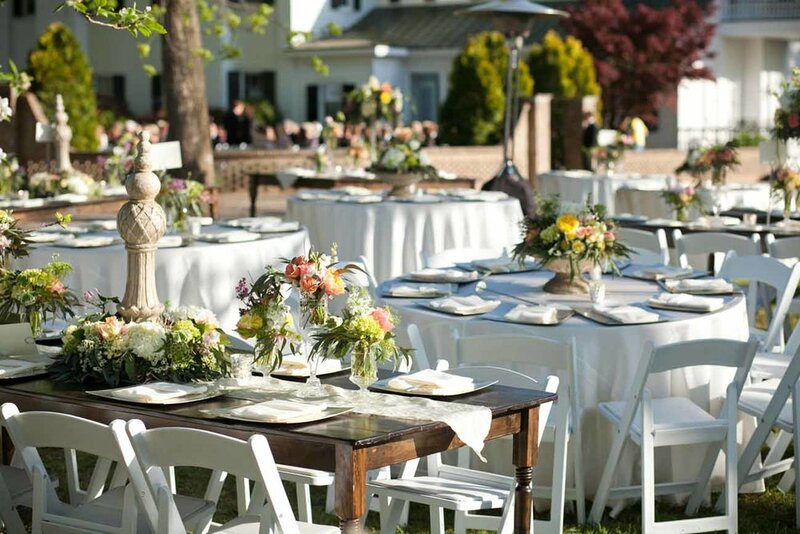 Guests are still raving about the food, the flowers, the décor and the beautiful family farm. 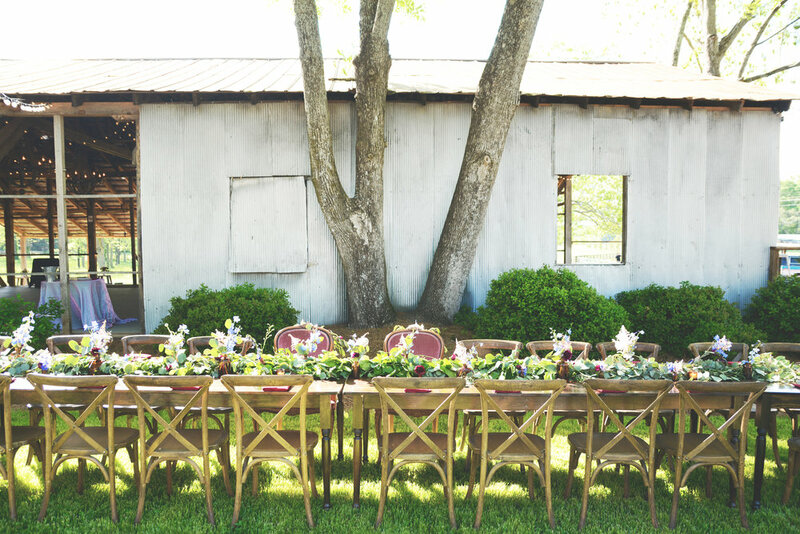 I highly recommend having your wedding at Cloverleaf Farm!